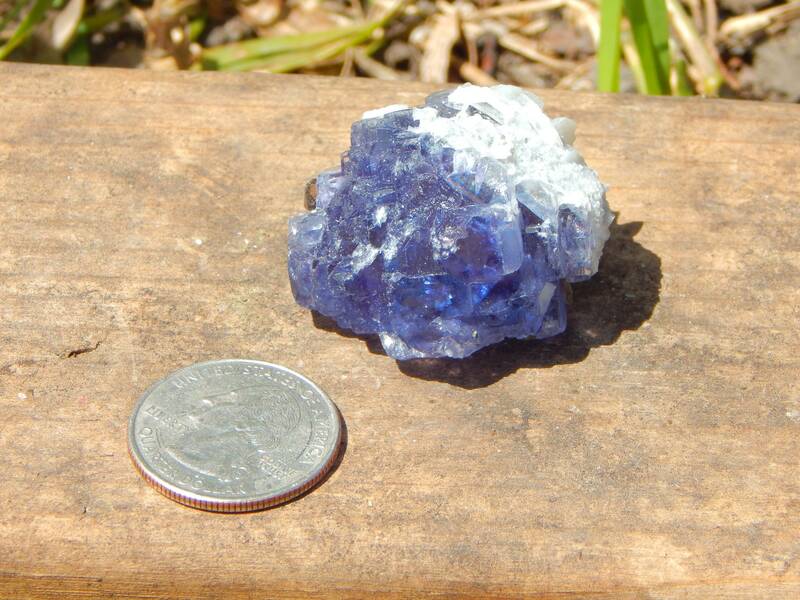 This is one beautiful, well formed color changing stairstep Rainbow Fluorite with saturated blue and violet colors. 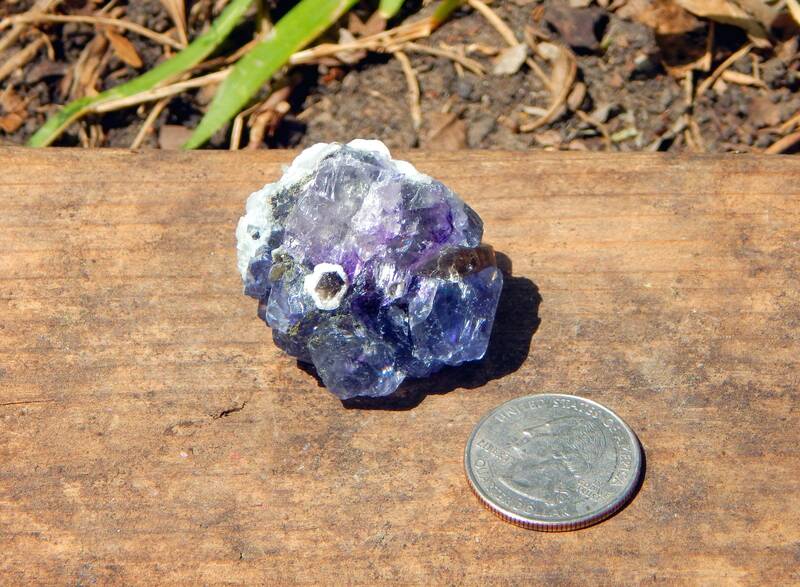 This specimen weighs 40.4 grams, measures 1.49 inches, and is shown next to a quarter for size comparison. It has beautiful coloration with layers of vivid violet and teal blues, complete with rainbows. 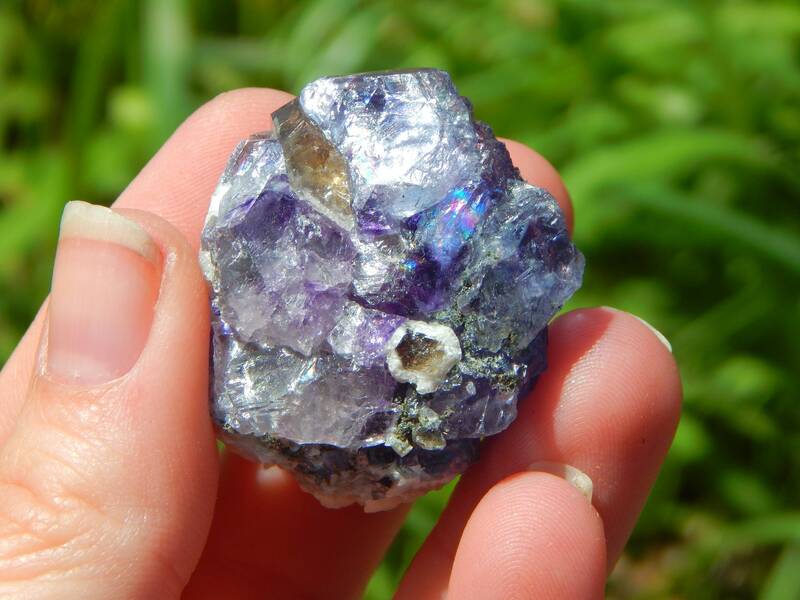 Fluorite is a highly protective and stabilizing stone, useful for grounding and harmonizing spiritual energy. When working with the upper Chakras, Fluorite increases intuitive abilities, links the human mind to universal consciousness, and develops connection to Spirit. Fluorite further anchors intuitive insights into the physical plane, allowing mental and physical coordination. Metaphysically, Fluorite is said to heighten mental abilities, assisting in rapid organization and processing of information, and can bring mental clarity and stability to an otherwise chaotic situation. Fluorite absorbs negative energies from the environment and is effective at Auric and Chakra cleansing. 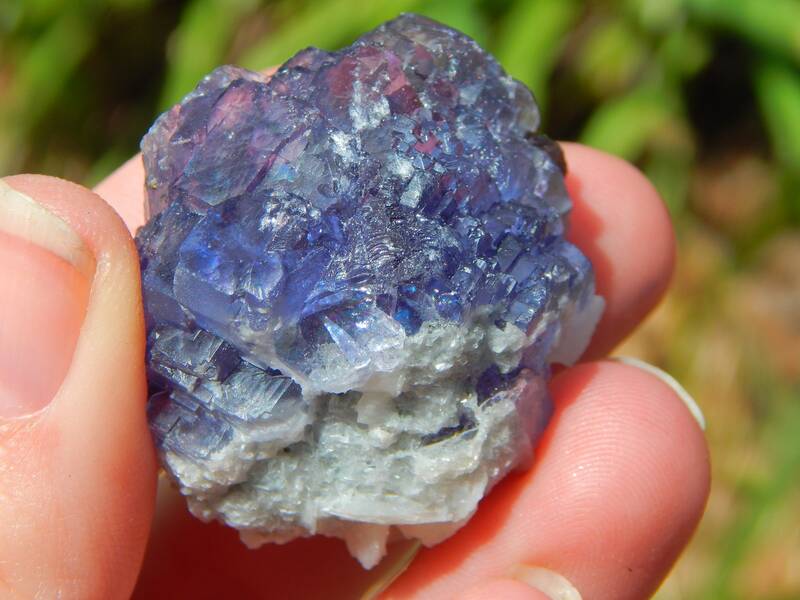 Fluorite can also shield the user from psychic manipulation. Fluorite should be cleared often.